Lucas grew up in White Bear Lake, Minnesota. Since joining the bar, he has dedicated his practice exclusively to advocating on behalf of people who have been harmed by wrong-doing and carelessness. He joined Teplinsky Law Group in 2010. 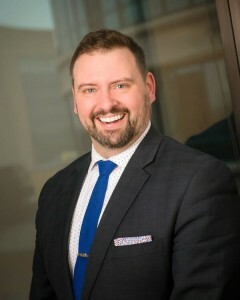 Lucas is admitted to practice in both State and Federal Courts in Minnesota, and has participated in cases nationwide. Lucas lives in St. Paul with his wife and daughter. He is very involved with his neighborhood, and served for three years on the Lexington-Hamline Community Council. He has also served as a volunteer ESL teacher. Lucas is passionate about the great outdoors, music, food, old books, and sports.